With the UK VAT rate going up to 20% from 17.5%, many Magento users might be wanting to know how to change the tax rates in the backend of Magento. 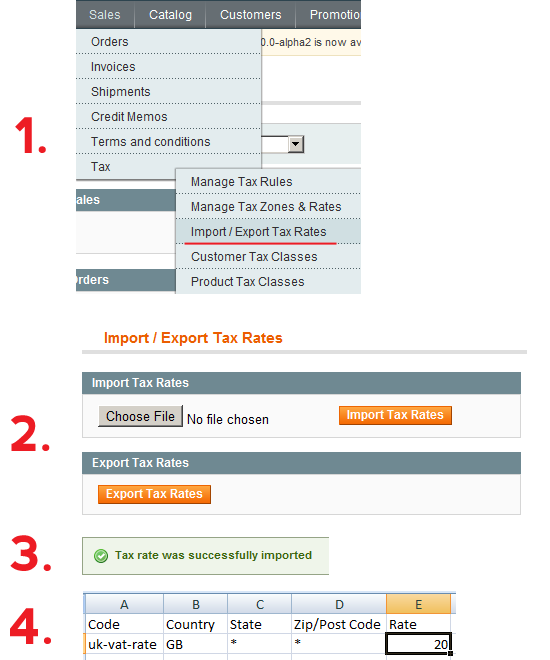 If you cater to many countries and wish to mass edit the tax rates, using the Import/Export feature is the best option. The following image will show how to go about doing it. Using the Export button, you can export all your tax rates to a CSV file. Open the CSV file, change the rates and save it. Go back to the Magento backend and import the new CSV file. Simples!